As competition increases, some players are likely to exit Australia’s EPC market despite a surge in projects entering the pipeline, finds SERA. Despite the rapid growth of the Australian utility scale solar pipeline, only the most efficient solar project developers in this burgeoning market are likely to make it, finds the latest report on the Australian utility solar construction sector by Sydney based Sustainable Energy Research Analytics (SERA). Currently, SERA tracks 12.7 GW of solar photovoltaic projects of 10 MW or larger, up from just a handful a few years ago. Some 311 MW is currently operating, with 1 GW under construction and a further 6 GW in advanced design stages. “We estimate 80% of future project capacity is yet to secure an EPC partner. The scale of the opportunity for engineering, procurement and construction (EPC) companies in the Australian solar sector is huge: we estimate existing uncommitted projects to be worth over A$14.7 billion to EPC providers,” said Ben Willacy, SERA Director. 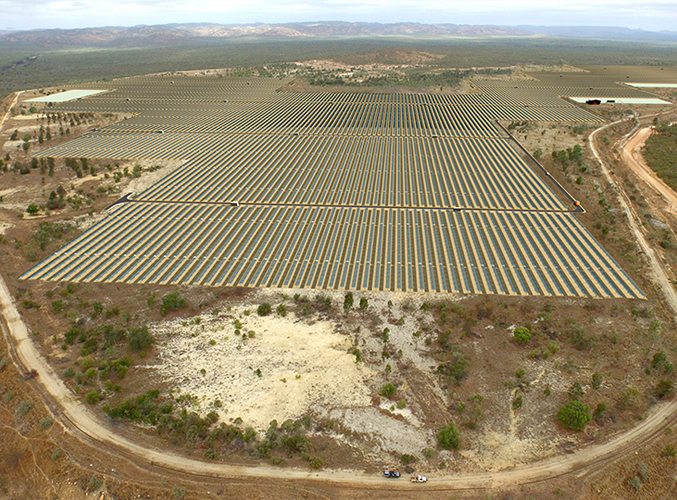 According to SERA, only five companies account for 95 % of today’s publicly announced EPC contract volumes, including three domestic engineering firms and two European ones: Sydney-based Downer, selected earlier this year to handle the EPC duties for the 148 MW array near Townsville, Sydney-based RCR Tomlinson, recently named the EPC contractor for a 110 MW solar project in Queensland’s Darling Downs region, Madrid-based Elecnor, which just a week ago pledged to provide the EPC services for the 137 MW second phase pf the Bungala solar project in South Australia, Paris-based Bouygues and Sydney-based UGL. “Competition will intensify in the near term as new players enter the market, sub-contractors step up as full EPC providers, and margins are squeezed to gain market share. But at these returns, the market will enter a ‘survival of the fittest’ phase” says Willacy. Although it estimates EPC contract for projects currently under construction average around A$1.6/watt AC, SERA also identifies a number of upward cost drivers affecting the EPC market, including panel prices, labor costs and grid connection. “Ongoing pressures for lower PPAs and cheaper solar combined with upward pressure on costs are squeezing EPC margins. Delivering projects at today’s prices is proving a challenge. Contractors will be taking a hard look at the current crop of projects to identify opportunities for productivity gains,” Willacy concludes.